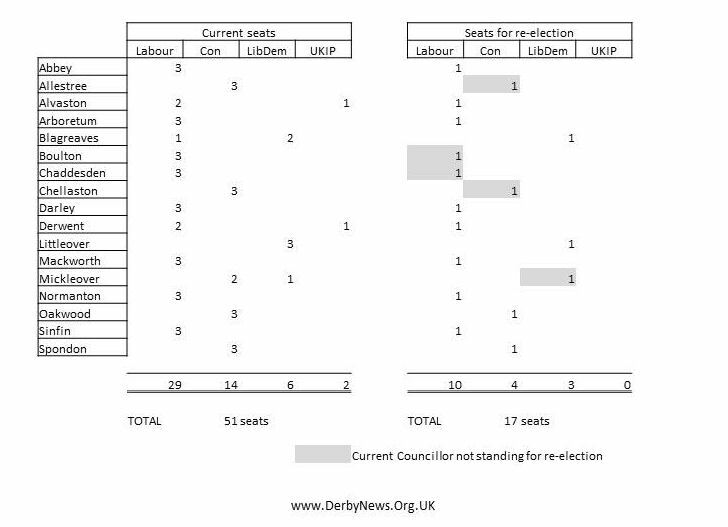 Derby City Council May 2016 – Seat statistics; Where’s the finishing line? Which seats are up for re-election? What is the state of each party? Which seats have all new candidates? A simple chart summarising the position at the moment with Labour having 29 seats out of the total of 51 – thus giving an overall majority. This is a link to the details of all of the current Councillors. For Labour to lose an overall majority then they will need to lose 4 seats ( net). Council to spend £6m on a “Dithering Differently” programme.